Martin “The Situ-Asian” Nguyen had not competed for more than nine months, but there were no signs of rust on his comeback as he hit the most spectacular finish of his career. 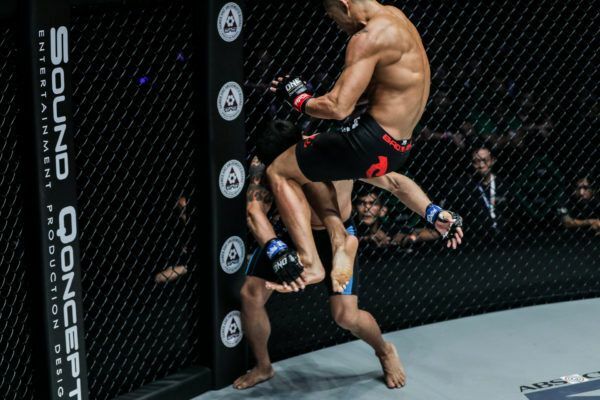 The ONE Featherweight World Champion stepped back into the ONE Championship Circle on Friday, 12 April at ONE: ROOTS OF HONOR and defended his belt with a walk-off flying knee knockout of Narantungalag “Tungaa” Jadambaa. 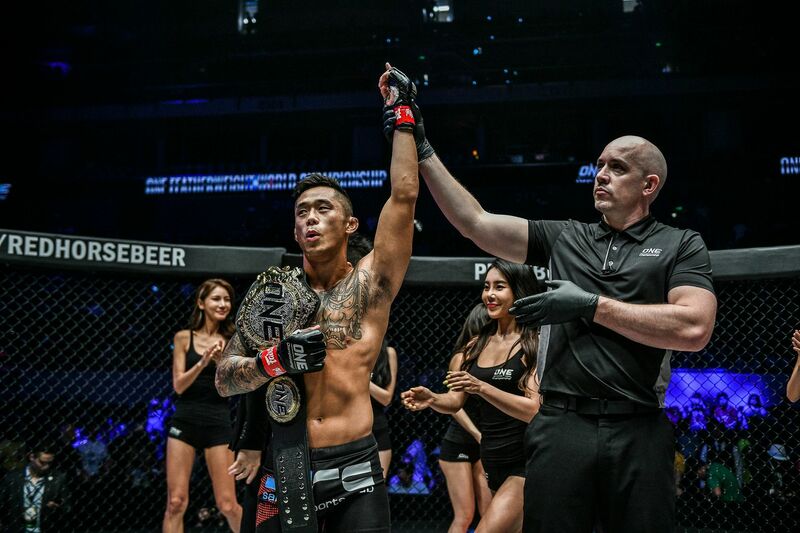 He was up against a former World Champion who seemed to be back to his best, but the Vietnamese-Australian was dominant as he stopped his challenger in the second round at the Mall Of Asia Arena in Manila, Philippines. 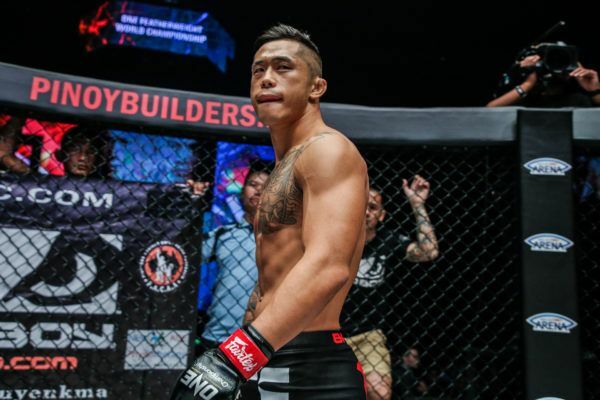 Still on a high from his victory, Nguyen expressed his emotions about returning with a bang, and how he prepared to add another entry to his highlight reel. ONE: What were your emotions when you had your hand raised after such a long time out of action? Martin Nguyen: I didn’t realize how long it was, someone said it was nine months, but I didn’t count the days before my return. I just focused on becoming a better athlete than I once was. The whole time I was injured, I was still doing limited training to perfect everything, and to top it off, I flew over to Florida to sharpen all my tools and regain confidence. It was psychological more than anything, just to get reassured from world-renowned coaches and teammates that I can still hang with the best in the world. That’s what happened. Once my hand was raised, it wasn’t a sigh of relief, but I made a huge statement to say I’m back baby! ONE: What elements of your time at Hard Knocks 365 paid off most in the bout? MN: The main things were distance, being patient, and getting comfortable using my knees – I don’t think I’ve thrown that many knees in a fight camp before. My striking and wrestling, too, and I just got so much confidence in the ability I already had. We’ve already planned a trip at the start of June to go over for my next fight camp and to help my teammates. ONE: Was it a blessing in disguise to have to take some time off so you could work on yourself physically and mentally? MN: Definitely. It’s one of those things we take for granted – how overworked our bodies can get. That’s the sad thing that happened to me. I had five World Title fights in one year. I thought I could handle it, but I’m not a 20-year-old anymore! ONE: How much concern did you have about Jadambaa’s power? MN: He’s a legend, and he deserves all the credit that’s been given to him throughout the years. He’s the type of person that pushes you to the limit to train harder. He has the experience underneath his belt – he’s fought a who’s who in kickboxing and mixed martial arts. When the bout was offered, I grabbed it with both hands – I signed straight away. He was injured at the start of the year, but I said I wanted to fight him, that’s it. 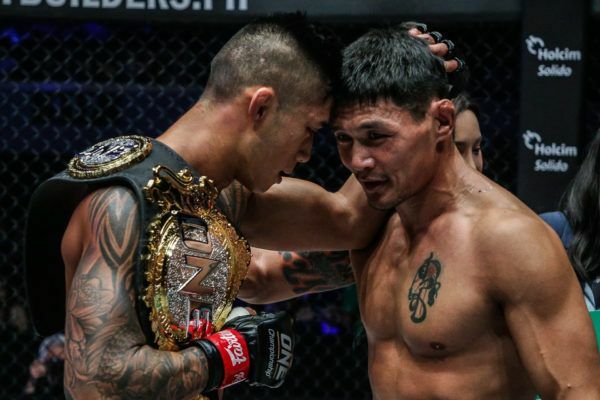 We waited until he was better, and my sole purpose was to perform as well as I could against this former World Champion, and solidify my status as the greatest featherweight World Champion in ONE Championship. ONE: How big a part of your game plan were those low leg kicks that gave him so much trouble? MN: To be honest, our game plan was to wear him out until the later rounds and finish him from there. Everyone sees a different fight to what I see, so while I was purely focused on wearing him down, landing kicks to the body, kicking his leg, moving around, making him chase me, and wearing him out, you could see he was slumped over in his corner after the first round. 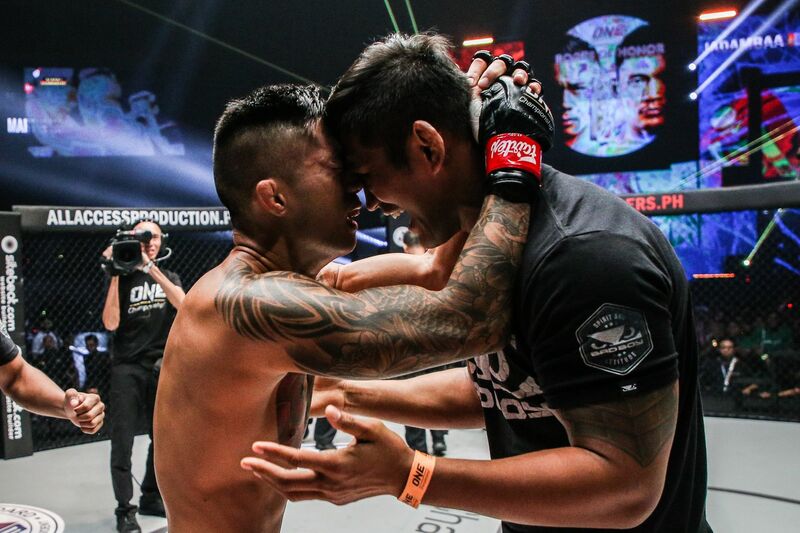 I was fresh and ready to go, and the advice from Aung La N Sang was that everything I was doing was working, everything was going to plan, I was wearing him out, and we had gained that confidence that we could finish him any time now. A few seconds later, he caught me with an up kick. It didn’t faze me, but that woke me up. Then, a minute into that round, I found that my movement was throwing him off – he was overreaching on his shots – and I threw a leg kick that stunned him, so I rushed forward. At the same time as he threw a right hand, I threw a left knee to the body, and I heard him groan, so I just wanted to keep that pressure on. Sure enough, I gave him that last leg kick that put him off-balance, and hit that flying knee. ONE: Was the finishing flying knee instinctive, or had you trained to throw it? MN: I’ve been working on it for the past three years with my head coach Chrysler [De Castro]. Every single fight, he’s told me to take the risk and throw it, but I have not done it at all until this one. Before the fight, we said it was all about me making a statement. 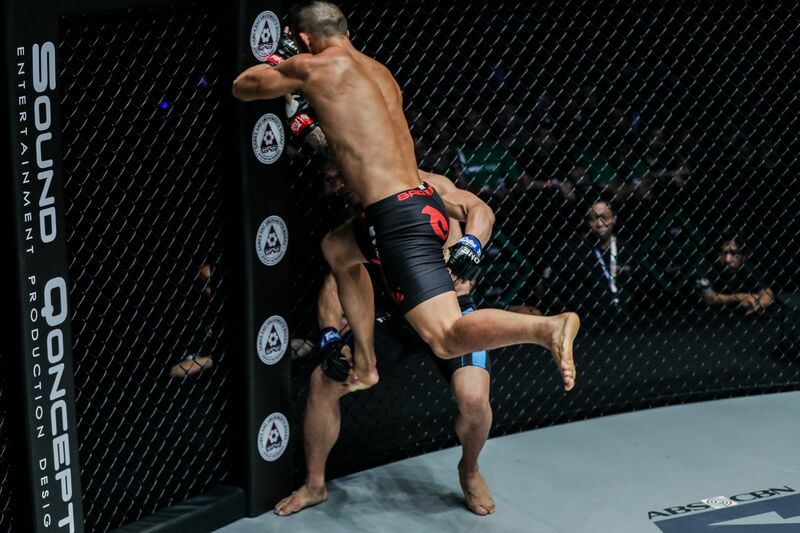 As Chatri [Sityodtong, ONE Chairman and CEO] said, it’s a new era for ONE Championship. I took that line, it’s a new era for Martin, a new me, a new team, a new way of stepping up and proving myself to the world. I threw that knee right in front of my corner – my coach, Aung La, and my training partner Tial [Thang] were all there with me. At that moment, I knew my knee really hurt him, so I saw him drop and there was no need for more shots. A walk-off KO! ONE: Did you think it would take something special like that to knock him out since he had not been stopped by strikes in 15 years? MN: I did not know that at all until we were lying down in the back and someone was looking at his record. He’s only lost via injury, decision, or submissions. I always have the belief that I have the power in this division. I feel healthy and fast, so if I touch anyone, they can go out. I wouldn’t say that out loud and eat my own words, but I think I can do it. Looking at his record, and people telling me it never happens only motivated me more to be the first in over a decade. ONE: Have you thought about who you will face next? MN: I can’t wait to get back in the cage and perform again and show a new and improved Martin Nguyen. I’m here to fight anyone. Everyone is throwing out names like Koyomi Matsushima and Li Kai Wen, but I’ll let Matt Hume [Vice President of Operations & Competition] be the one to decide. 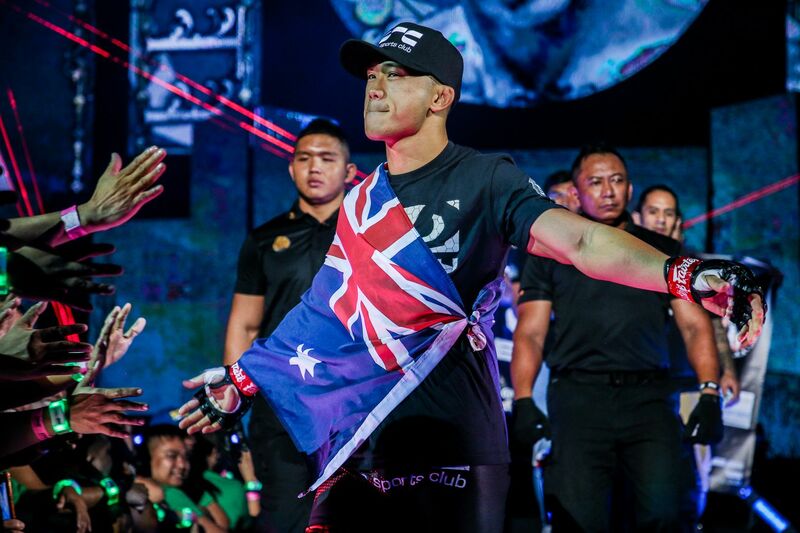 But, the one I want to put out there – if Christian Lee beats Shinya Aoki, I’ll give him the opportunity to try and win my belt again. We’ll do it in Manila. 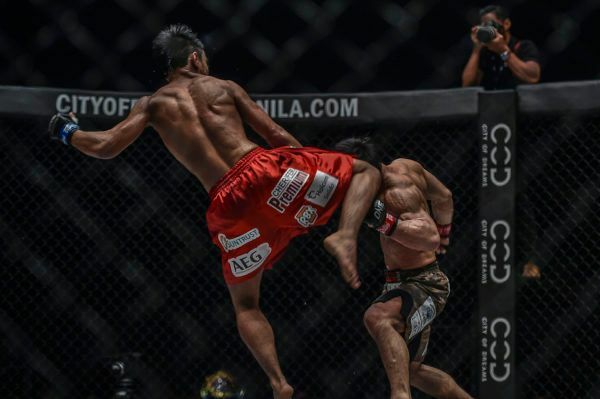 If you missed any of the action from Manila, then make sure you check out these knockouts and submissions. 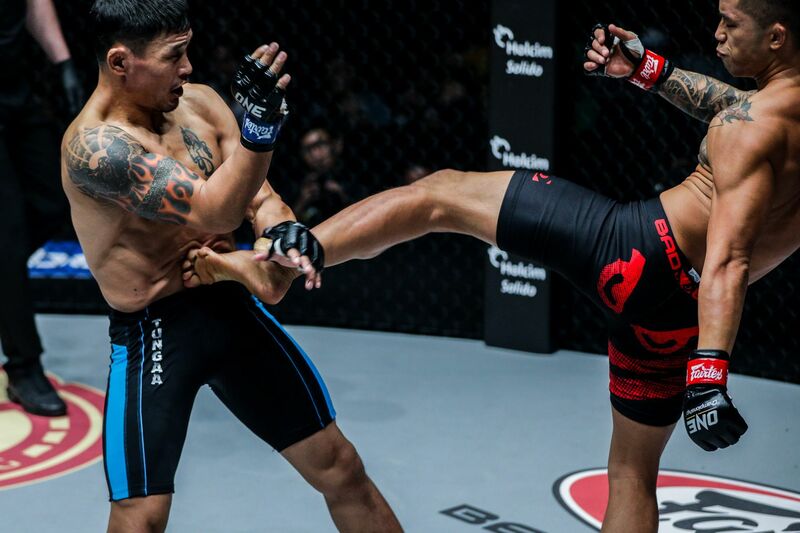 Martin Nguyen, Joshua Pacio, and others could find themselves facing these opponents next. Here are some of the biggest takeaways from an unforgettable night in Manila, Philippines.